I recently bought a batch of 1950s Woman's Weekly magazines - have already spent several hours sitting in the garden, glass of vino in hand, totally fascinated by the vintage fashion and home articles. 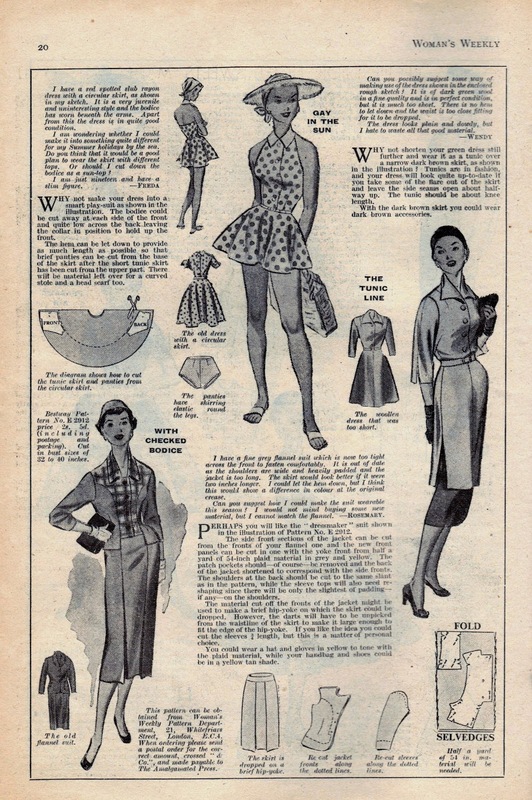 This feature from the June 30 1956 edition had me intrigued as it has good instructions on how to remodel your clothes to create a natty summer wardrobe. 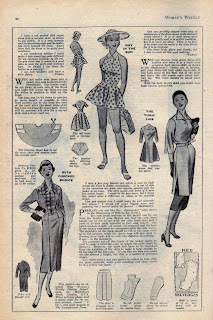 I thought this was too good for us Sew Retro gals to miss, so please feel free to use these scans for inspiration for your own sewing. Happy summer sewing everyone! I know what you mean - today I am huddled up in winter woollies, too cold to go outside! It's a pleasure, everyone, happy to share - I am so glad I found the Sew Retro blog group as it has reinvigorated my sewing soul!